A Hunter Valley coach and travel operator demonstrated this week how coach travel has help stranded passengers during last weekend’s Qantas shutdown. Northern Highland Travel (NHT) Managing Director Jenny Aitchison says her staff worked over Saturday night, Sunday and since early this morning to help all affected NHT customers grounded during the Qantas disruptions. Since Qantas CEO Alan Joyce’s announcement on Saturday the airline would ground its aircraft, Aitchison and her team stayed in regular contact with Qantas to ensure NHT passengers were taken care of during the delays. 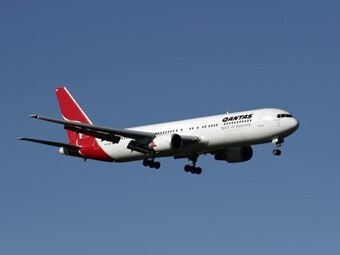 The Qantas shutdown affected 70 NHT travellers, located in Brisbane, Sydney and Alice Springs who were either returning from or departing for a tour to Lake Eyre. "When they heard of the flight cancellations our guests in Alice Springs wanted to come home with us, as they knew we would look after them," Aitchison says. "Qantas recognised the special relationship we have with our guests, and were happy to support us in getting them home quickly, and comfortably." As both a coach operator and a travel agency, NHT was able to book additional accommodation, make alternative travel arrangements and offer guests certainty. In coming days NHT will be working with guests to obtain reimbursements from Qantas. "I am so proud of our team both in our operations centre in the Hunter and on the ground in both Alice Springs and Sydney," says Aitchison. "They were a key aspect of our strategy, ensuring that guests were kept informed and did not have to worry about working out their travel options themselves." Aitchison says the Qantas grounding demonstrated the value of booking through both travel agents and coach operators. "Our travel agency partners knew their guests would be looked after and our guests didn’t have to worry about reorganising their arrangements," she says. "Our team worked all hours with the professional team at Qantas to resolve the situation and achieve the best outcome possible for our guests." Aitchison says last weekend’s grounding of Qantas planes proves coaches are still a reliable and viable alternative to air travel and can enhance even the most difficult travel situations.